Custom built exquisite SOUTH FACING 5 bedroom, 4 bath 1/2 duplex built by long term experienced local builder. Spectacular floor plan w/generous size bedrooms. Spacious living room w/gas fireplace & dining rm leading to the chef's kitchen with S/S appliances. Features 10ft vaulted ceiling, quartz counters, radiant heating, AC, HRV, security cameras, security system, crystal chandeliers, bay windows, covered patio, 5 PC ENSUITE in Master bedroom, custom finishing & quality workmanship. Potential for 2 bedroom ground level suite. Single garage plus long driveway for added parking. 10 year Warranty. 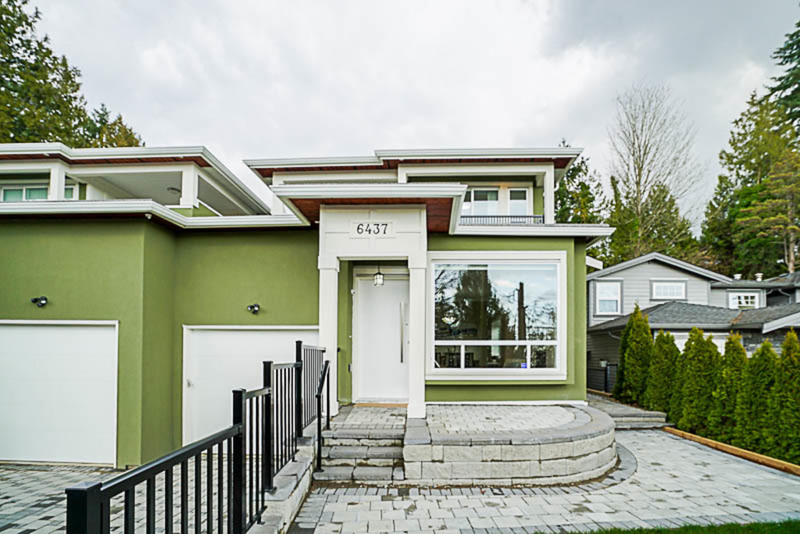 Centrally located, 5 blocks to skytrain, Market crossing, Metrotown, easy access to Airport and Alex Fraser Bridge. Completely private back yard and fantastic VIEWS! Hi Brian Vidas & Sophia Gee, When I was browsing http://realestatechannel.ca I found your listing. Please send me more information about 6437 Marine Drive. Thank you.